We continue to cover the University of Louisville Foundation, an example of a philanthropic foundation failing in fiscal responsibility, losing millions of dollars, and then attempting to rebuild itself. While unfortunate for that organization, we are learning from the process, from the exposure of the malfeasance through the steps in recovery. The first step to rescuing a foundation so beset is replacing the leadership. The next step toward fixing it is to find everything that’s wrong. Doing so requires a forensic audit—a thorough, scientific accounting of every dollar spent and every dollar of revenue. That’s an expensive proposition, but two foundations have stepped up to pay for the 269-page audit, $1 million each. Both foundations are located in Louisville, and are strong, consistent funders for city programs and the university. The James Graham Brown Foundation, according to their tax filing, was designated as a nonprofit by the IRS in 1964 and donated $15.9 million to organizations in 2015, almost all of which are located in Kentucky. The C.E. and S. Foundation was founded in 1985, donated $3 million in 2015 to organizations, the majority in Kentucky. 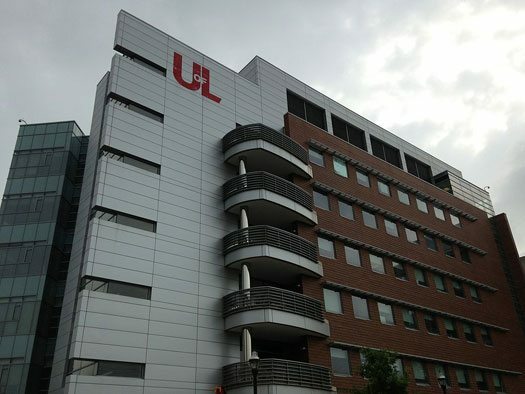 J. David Grissom, the chairman of the university’s board of trustees, stated, “Our goal with this forensic investigation has been to restore the confidence of our donors in the U of L Foundation.” He went on to say that the support from the two foundations will assist in mending the present lack of confidence that exists with other donors. Now former U of L vice president of advancement Keith Inman told the U of L Foundation board of directors on July 18th that the foundation needed major donors to make public donations to help rekindle the support of other donors. Inman is now the president of Kosair Charities. Inman also explained that total contributions to U of L foundation were down by $93.9 million, or about 39 percent, compared to fiscal 2016. Accounting for strictly philanthropic giving, the foundation was down by about $21 million in fiscal 2017 from fiscal 2016, Inman said. When there is a problem, even failure, in a nonprofit organization, it could be considered a natural reaction for funders to step back and take themselves out of the picture. A funder wants to be part of a successful program and mission. It is a brave move for philanthropic foundations to see a problem within an organization and take what could be sizeable risk by making the commitment to assist in the reparation. In the midst of its struggle to come back, however, a consultant hired by the University of Louisville Foundation was arrested. Robert Mims had worked for the foundation for two weeks as a contract financial consultant when he was charged with theft or shoplifting over $10,000 and under $1 million. Every board member must be engaged in an organization’s financial processes and be confident and comfortable to review financial information and—especially—to ask questions.